Dr. Dimitri Christakis has done extensive research on blocks and play, and has lectured on media and children. 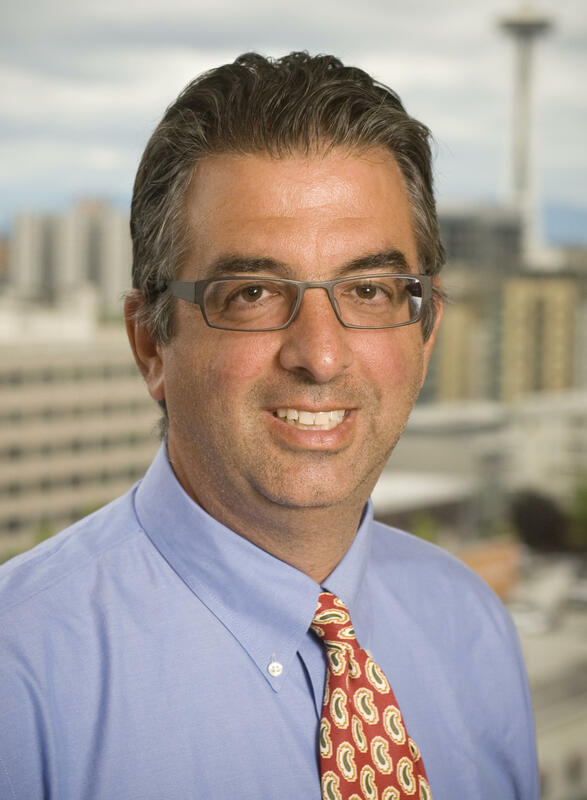 He is the director of the Center for Child Health, Behavior and Development at Seattle Children's Research Institute. He's also a pediatrician at Seattle Children's Hospital and a professor of pediatrics at the University of Washington School of Medicine. We talked about the way young children learn and how their minds develop. He's not against digital education tools, but he says they have to be the right kind and age-appropriate. He is raising alarms that Americans are over-charging their infant's developing brains. In a broad sense, your research seems to point to the fact that over-stimulation in children's brains is having a negative effect when it comes to fast-paced media. Is that accurate? Right. Our brains evolved over millennia to process things that happen in real time. And by definition, anything that happens in the real world happens in real time. It wasn't really until the advent of modern media that we were able to speed things up and make them happen at a pace that is surreal. And even early media didn't do that. That's a relatively new phenomenon. In the case of infants, there was no infant television viewing prior to about 10 years ago. And we've seen an explosion since then. Today, 90 percent of children watch TV on a regular basis before the age of 2 — in spite of the fact that the American Academy of Pediatrics advises strongly against that. And they do that, in a sense, and displace activities they previously did. In research we've done, the typical preschool child in the United States watches about 4 1/2 hours of television a day, and they're only awake for about 12 hours a day. So somewhere between 20 and 30 percent of their time is spent in front of a screen, [raising] the question of what are they not doing that they would otherwise be doing? What activities are being displaced? And much of those activities are traditional means of interacting with the environment and with adults. And blocks are a classic example of that. Four-and-a-half hours a day! That's from research you guys have done, or others have? No, it's from research we've done. It combines screen time at home and screen time in day care. Most of the studies to date have asked parents about how much their children watch at home. And, of course, most children in the United States are cared for during the day outside of their home. So you're missing all of that time. In fact, in the average home-based day care, children watch an additional two hours a day. That seems alarming. And the idea that for an infant, lots of television and all the digital media options really are only a phenomenon of the last 10, 12 years? Can you compare children's television as it first started out versus what it is today? Are we getting that much more fast-paced? Are we getting much more digitally distracted? We are. The pacing of all programs, both adult and child, has sped up considerably. Part of the reason for that is that the more rapidly sequenced the scenes, the more distracting it is. It's taxing to the brain to process things that happen so fast even though we're capable of doing it. And there's emerging science now in older children that watching such fast-paced programs diminishes what we call "executive function" immediately afterward. It tires the mind out and makes it not function as well immediately after viewing it. It makes the mind not function as well in what sense? In making decisions? Processing information? Processing information. The evaluations that are done afterward are of one's executive function, which is the measurement of high cortical functioning — things like remembering sequences of numbers, which requires you to concentrate. We see that after watching fast-paced shows, at least immediately afterward, children don't function as well. We don't see that with things like block play, reading or drawing, all of which happen in real time. You did a randomized trial on building blocks, and you linked it to language assessment. Tell us about that. In that experiment, we took 200 children, from a low-income environment, and we randomized them to two groups. 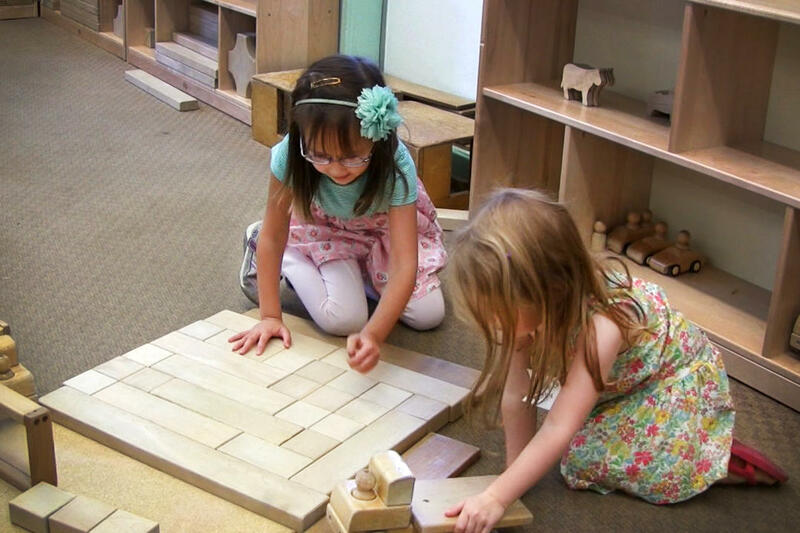 One group got a set of large building blocks, that are intended for young children, at the beginning of study. And one got them at the end of the study, six months later. In the group that got the blocks at the beginning, we also gave parents a list of what we call "blocktivities." So these were simple ways to play with your child with blocks: stack the blocks, sort the blocks, divide them by color, etc. We had them keep daily diaries so we know how many kids played with blocks in a typical day. Sixty-five of the children in the block group played with blocks on a typical day, compared with 9 percent in the control group. And most importantly, at 6 months, we looked at their language development. And what we found was that the control group, those that did not get the blocks, scored in the 42nd percentile — meaning they were slightly below average. Which is unfortunately not uncommon for a low-income population. But the group that got the blocks scored in the 52nd percentile — so, slightly above average and significantly and clinically different from the control group. So having blocks — and more importantly having activities that promote caregiver and child interaction — resulted in significant improvements in language over just a six-month period. Is there something special about blocks? Or could it be any activity where the parent and child have to work together in simple, basic creation? There is nothing special about blocks insofar as they provide an excellent platform for parents and children to engage with one another. But what is somewhat unique about blocks is that they're a great venue! Children love them and like to play with them both with their parents and on their own. In fact, in our study of blocks, what we found is that children played with their fathers much more with blocks than with their mothers. The interesting thing about blocks is that, in one way, shape or form, they've probably existed for millennia. Long before anyone marketed such things, children probably built things with sticks and stones, and some children do that now anyways. Blocks have never, ever, marketed themselves as an educational toy. For most parents, they've simply been something that was fun to do. And it's interesting because in today's climate there are literally hundreds, if not thousands, of toys that make explicit claims that they are educational, that they will make your child smarter, or a young engineer or a poet. And the overwhelming majority of those products have no evidence whatsoever to make those assertions. You're making a call to go back to old-school blocks and other creative play, but what about these digital tools? What do you say to skeptical, digitally savvy parents? In medicine, we have a saying which says, "First do no harm," and I apply that to parenting as well. I'm a scientist as well as a parent, and I really believe that there is such a thing as evidence-based parenting. There are some things that we know that are good, and there are many things we have no information on at all. And there we have to rely on our best judgment. In the case of over-stimulation of digital media, this bombarding of young brains, we do have both a theoretical and an empirical foundation now to say that it is not good for children. At the same time, we have a very large body of literature that shows very clearly that traditional means of interacting with your child is exactly what they need for both the short term and the long term.